We specialize in offering sheet metal parts design, enclosure design, shop drawings and 2D fabrication drawings to Fabricators and Manufacturers across the globe. Mechanical 3D Modelling is leading engineering design firm providing SolidWorks sheet metal design services. We provide a wide range of sheet metal design services including: sheet metal product design, assembly design, 2D/3D sheet metal parts and sheet metal detail drawings. Our mechanical engineering team provides detailed design information in terms of 2D fabrication drawings, flat patterns and 3D CAD model for sheet metal product development. We have developed extensive experience in sheet metal design while working with various fabricators and manufacturers globally, allowing us to deliver accurate design information following DFM guidelines. From conventional 2D drawings and 3D modeling, our services include latest 3D design software for bespoke metal furniture design and building product design such as cabinets, claddings roofs, panels. Our sheet metal product design services help in reducing material scrap and improve productivity catering to manufacturers of Doors and Windows, Building Products, Bespoke & Millworks manufacturers, metal furniture and other custom sheet metal parts and components manufactures. 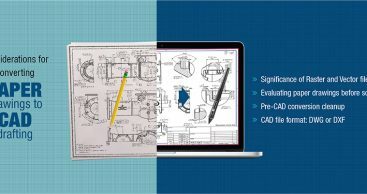 Apart from 2D drafting and SolidWorks 3D modeling, we also enable product development teams to evaluate the design through our virtual testing capabilities. We specialize in using SolidWorks for sheet metal design apart from Inventor, SolidEdge, Creo and AutoCAD.